Congratulations on your acceptance to Barry University. It’s time to Live a Barry Life! Follow the Freshman, Transfer, or International Student checklist below to prepare for your first semester as a Buccaneer. Secure your place in the incoming class by submitting an enrollment deposit of $225. Submit your final official transcript(s) from your high school(s). Complete the Free Application for Federal Student Aid (FAFSA) and submit all supporting documents. 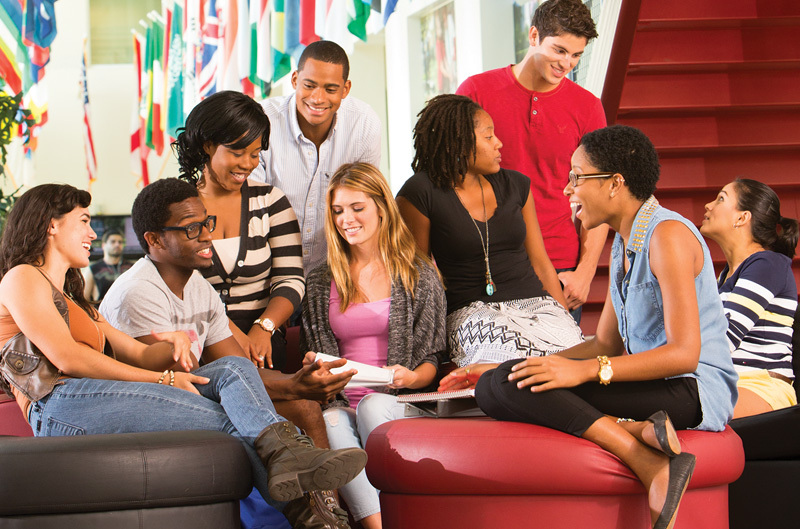 Make sure you list Barry University’s Federal School Code: 001466.
Review your estimated financial aid award letter. You can estimate your cost of attendance Barry University with our net price calculator. Register for Barry 101. Visit barry.edu/orientation for full information. Submit your housing deposit of $200. Provide your proof of health insurance and immunization records. Visit barry.edu/health-services/ for full information. Submit your final official transcript(s) from your current college. Complete the Free Application for Federal Student Aid (FAFSA) and submit all supporting documents. Make sure you list Barry University’s Federal School Code: 001466..
Register for Barry 101 and New Student Orientation. Visit barry.edu/orientation for full information. Submit your Enrollment Deposit of $1,000 USD. After you submit this deposit, and the other financial documents outlined below, you will receive detailed information regarding the receipt of your I-20 Certificate of Eligibility in order to apply for a Student Visa. Submit a Transfer Eligibility Form if you have attended, or are currently attending, any high schools or higher education institutions in the United States, Puerto Rico, the US Virgin Islands, or Guam. The form must be signed by the school advisor or counselor of each school attended. Submit the Financial Affidavit of Support form. Provide a bank letter addressed to Barry University stating that you or your sponsor have the funds available to pay the total cost associated with attending Barry University for one year (two semesters). Please note: The bank letter must be dated within six months of the date it is submitted. If sponsored by a government or an institution, submit a government sponsorship letter or a notarized letter of support guaranteeing payment of tuition and fees, books, room and board, medical insurance, and personal expenses for one academic year (two semesters). Prepare to attend our International Student Orientation. You will be sent detailed information regarding your I-20 issuance and International Student Orientation from the Barry University Department of Intercultural and Multicultural Programs. Learn More: For more information about studying in the United States and the visa process for international students, visit the U.S. Department of State’s EducationUSA website.